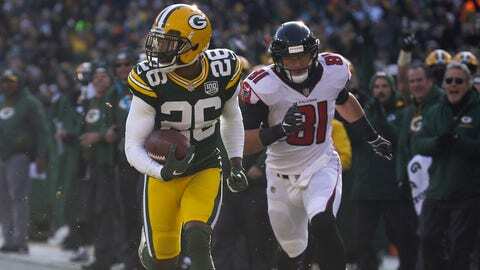 Then-Packers cornerback Bashaud Breeland returns an interception for a touchdown against Atlanta in December. KANSAS CITY, Mo. — The Kansas City Chiefs have signed cornerback Bashaud Breeland to a $2 million contract for the upcoming season that could be worth an additional $3 million if incentives are met. The club announced the agreement, largely reached over the weekend, on Tuesday. Breeland even indicated it was close to becoming official Monday with a tweet about barbecue. The Chiefs have been looking for a cornerback to replace Steven Nelson, whom they lost in free agency, while providing an upgrade to their beleaguered defense. Breeland nearly signed with Kansas City last training camp before signing midseason with Green Bay.